Realme 3 is now available for pre-order. For a minimum deposit of P500, customers can reserve either the 3GB RAM+64GB storage variant or the 4GB RAM+64GB storage variant of the Realme 3 models exclusively offered in offline retail stores. The pre-order promo will end on April 5. 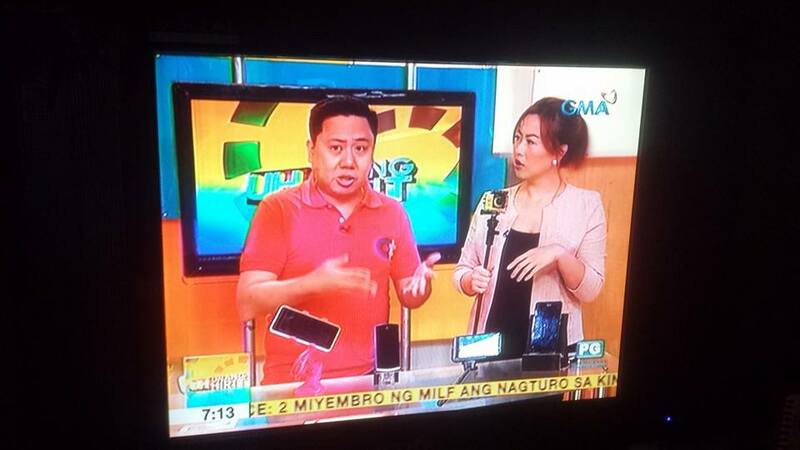 The 3GB RAM+32GB Realme 3 variant broke records on Shopee by being the online shopping platform’s fastest-selling smartphone below P10,000 during its March 25 Flash Sale. 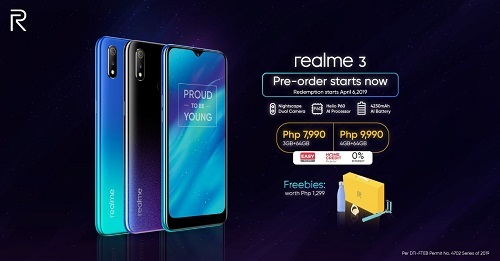 To further delight its customers, Realme Philippines is giving away P1,299 worth of freebies to every fan that will pre-order a Realme 3 unit. The 3GB RAM+64GB storage variant lists at P7,990 while the 4GB RAM+64GB storage variant is priced at P9,990. Claiming starts on April 6 for the 4GB+64GB variant and April 13 for the 3GB+64GB model. These Realme 3 variants will be available in major retail stores nationwide.